Does water hydrate and provide us with necessary minerals? However, most bottled water is expensive and may not be any better than tap water. Tap water can also contain harmful substances such as remnants of pharmaceutical drugs and other chemicals, herbicides, heavy metals including chromium, lead, and arsenic, plus the added chemicals fluoride and chlorine. 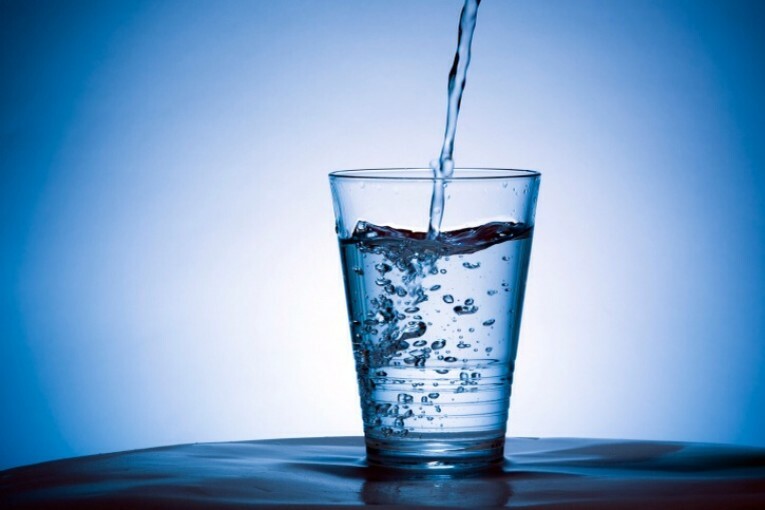 Tap water is municipal water that comes out of aucets and has been treated, processed and disinfected. It is purified with chlorine and generally has added flouride. One of the byproducts from using chlorine in our drinking water is linked to cancer. Most municipal and commercial water available lacks essential minerals we need for health. Mineral deficiencies can contribute to or cause a number of diseases and symptoms including rapid heartbeat, headaches (including migraines), muscle cramping, digestive issues, immune system disorders, fatigue, loss of appetite, frequent infections, poor concentration or memory issues, arrested development in children, and many others. Well water – comes from a hole drilled in the ground that taps into a water source. A pump brings it to the surface. If you do not have access to city water, then you would need a well. Natural spring water – flows up from a natural spring and bottled at the source. Artesian or spring waters – from a natural source, bottled off-site, and are processed and purified. Mineral water – natural spring water or artesian water sourced from underground. Contains at least 250 parts per million (ppm) of dissolved solids, including minerals and trace elements. Adrenal glands are found just above your kidneys, and in combination with your thyroid, work to generate energy for your body. Together, these organs secrete critical hormones for health including something called aldosterone. According to Stop The Thyroid Madness, this hormone is secreted by your adrenals and regulates the concentration of minerals and water levels in the body – such as sodium and other minerals – to keep you hydrated. How can we get enough minerals in our diets? Drink nettles infusions. I recommend dried organic nettles from Frontier via Amazon affiliation. Make and consume bone broths from the bones of pastured animals and birds (cattle, bison, lamb, poultry, fish). Eat foods from pastured animals and birds – meat, eggs, poultry, raw and cultured dairy foods such as raw milk, yogurt, kefir, cream cheese and sour cream. Eat cultured vegetables including sauerkraut and its juice, cultured vegetable juices including beet and other types of kvass. Use cells salts tablets or liquid minerals – add the liquid minerals to your filtered water and stocks and soups you make at home. I have been using trace minerals as recommended by my ND, and I’m noticing a huge difference in the way I feel. I recommend Morter HealthSystem Trace Minerals, Hyland cell salts, and Nigey Lennon Homeopathic Cell Salt Remedies via Amazon affiliation. Drink mineral water or filtered water with added minerals, fresh squeezed lemon or lime juice, or unsweetened cranberry juice. I recommend Lakewood Organic cranberry juice via Amazon affiliation. Avoid over-consumption of water. Make sure to consume plenty of liquid gradually throughout the day, and don’t wait until you feel thirsty to drink a large amount. If you drink too fast, you risk diluting your blood, which may cause faster excretion of water by the kidneys. Everyone needs different amounts of liquid, but the standard rule of drinking half your weight in ounces may be too much. Concentrate on getting enough minerals through mineral-rich foods and liquids. Avoid processed, packaged, and junk foods. Make sure you are eating a real food with plenty of traditional fats and proteins. During and after you exercise, make sure you replace lost fluids with water with added sea salt. When we exert ourselves and sweat, our bodies lose salt and minerals, so replacing them is critical. Recommended are the following real sea salts via Amazon affiliation: Real Salt, Celtic Sea Salt, and FunFresh Foods Himalayan Pink Salt. Avoid beverages and chemicals such as alcohol, soda, and coffee. Consuming these substances can cause mineral depletion. Coffee, tea, soda, and alcohol are diuretics and cause the body to release liquid and minerals. The kidneys are triggered to excrete water but by triggering the kidneys to excrete pure water without releasing toxins stored in the body. Use liquid trace minerals in water with sea salt. Dr. Morter’s Trace Liquid Minerals or Fulvic acid are excellent choices. Salt recommendations. Consume safe-source seafood. As well as being a rich source of fat-soluble Vitamins A, D, and E, and Omega 3 essential fatty acids, these foods are some of the best sources of important minerals available: especially calcium, iodine, magnesium, phosphorus, selenium, and zinc. Make and consume mineral-rich broths from the bones of animals and birds raised on pasture. These easy-to-digest foods are a staple in my family’s diet and we add them to many foods we prepare including soups, stews, casseroles, sauces, marinades, and for reheating leftovers. As well as adding flavor and nutrients to the foods you eat, they are economical to make when you use the bones from meats and poultry you buy including whole chickens and cuts of beef that include bones. Consume homemade fermented foods and beverages. These foods are easy-to-digest and provide higher levels of all nutrients, including minerals. Sauerkraut and other fermented vegetables, beet and other kvass beverages, kombucha, and water kefir are all recommended. Use topical magnesium oil, gel, bath flakes, or lotion. I recommend Ancient Minerals or Life-Flo oil , flakes from Ancient Minerals and Collective Wellbeing, and magnesium lotion from Ancient Minerals and Life-Flo via Amazon affiliation. The transdermal oil is a great way to obtain enough magnesium, especially if you have compromised digestion. It bypasses your digestive system by soaking directly into the skin and into the bloodstream, and can help avoid one of the main side-effects of magnesium supplements: mal-absorption and diarrhea. Use a water filter. Our family uses this Big Berkey water filtration system with fluoride filters, which we love. These are easy to assemble and use, and if for some reason there is a situation where water supplies are cut off, you can use your system to filter out pond or river water. If you use reverse osmosis water as we did in the past, be aware that this process removes all minerals. An alternative is to add fulvic or liquid ionic minerals to RO water. I recommend fulvic minerals from Optimally Organic. We are renting at the moment and don’t plan to purchase a whole house system, but have friends who use iSpring whole house filtration system and love it, recommended via Amazon affiliation. What steps do you take to stay hydrated and consume enough minerals?